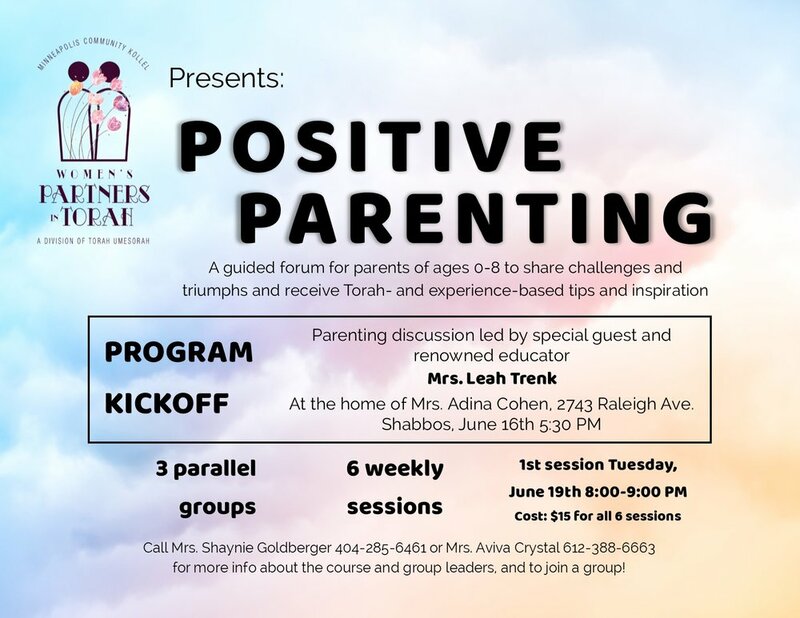 A guided forum for parents of children ages 0-8 to challenges and triumphs, and receive Torah- and experience-based tips and inspiration. Call Mrs. Shaynie Goldberger (404-285-6461) or Mrs. Aviva Crystal (612-388-6663) for more info about the course and the group leaders, and to join a group! at the Cohen home, 2743 Raleigh Ave.